Google begins to roll out mobile first indexing. 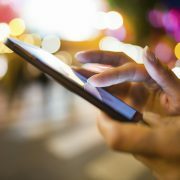 Update your mobile site or risk getting left behind! Google recently announced that page speed will be a ranking sign for mobile search in July 2018. The advantages of smart phones are discovered every day and this is leading to a huge increase in mobile website traffic. 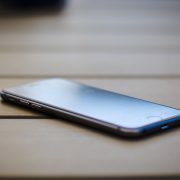 For effective connection to the millions online around the world an efficient mobile SEO strategy is needed. Mobile SEO is important because it enables your target audience to be reached at the right time and in the right place. Page speed is extremely significant for user experience. Pages that take a long time to load are likely to have higher bounce rates. Slow-loading pages can also impact your conversion rates because users won’t wait for pages to load. If you provide users with high-quality content and they can discover what they are looking for swiftly via their mobile you are ticking a lot of boxes. Website content and features must be able to meet the user’s expectations across all devices and platforms. Adjust images and web pages to provide the correct content experience on every platform. Make certain your pages load within one to two seconds. Applying all these factors will help improve your user experience, boost conversions and keep users on your website longer. Google will rank your page higher for the good mobile speed and UX and ideally this will drive more organic traffic to your website. The digital world changes rapidly, My Robot Monkey keeps their finger on the pulse for you and are ready to help you upgrade your system and keep up with the changing digital landscape. https://www.myrobotmonkey.com.au/wp-content/uploads/2018/06/My-Robot-Monkey_Google_Mobile.jpg 783 1398 My Robot Monkey https://www.myrobotmonkey.com.au/wp-content/uploads/2018/02/logo-v3-2.png My Robot Monkey2018-06-07 06:33:282018-06-07 06:40:56Google begins to roll out mobile first indexing. Update your mobile site or risk getting left behind! Did you know 80% of your ‘success’ likely comes from 20% of your efforts? Pareto’s principle is the idea that “for many events, roughly 80% of the effects come from 20% of the causes”. Originally Pareto had observed that 80% of the land in Italy was owned by just 20% of the population. He then noticed that 20% of the pea-pods in his garden contained 80% of the peas. 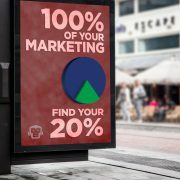 In Marketing the principle is applied to illustrate that it is often just 20% of the activities you carry out that result in 80% of your income. Maybe 20% of your “best” clients produce 80% of your income. Perhaps 20% of your “difficult” clients produce 80% of your time consuming challenges. 20% of your top selling products are resulting in 80% of your sales. 80% of your leads come from 20% of your marketing efforts. Take something that you would like to improve about your business or a particular issue you are having and see if you can apply Pareto’s principle to help you see where changes can be made. For example which are your top products producing the majority of your sales? Are these the same products that you are focussing your marketing efforts on in order to bring in even more sales? Who are your top clients or customers, perhaps it might be worthwhile celebrating the partnership with a small gift of thanks to them in order to foster the relationship. How can you use Pareto’s 80/20 principle maximise the efforts in your business? https://www.myrobotmonkey.com.au/wp-content/uploads/2018/02/Blog1399x787-1802-2.jpg 787 1399 My Robot Monkey https://www.myrobotmonkey.com.au/wp-content/uploads/2018/02/logo-v3-2.png My Robot Monkey2018-02-14 04:59:082018-02-14 05:01:11Did you know 80% of your ‘success’ likely comes from 20% of your efforts? Why is social media important for your business? Social media has become a major part of modern day living, it is how we connect, share photos and plan events with friends and family, how we advertise our skills for work and how we express the things that are important to us. It has also become a way to share, promote and sell products and services. The latest figures show 81% of consumers go online to research before heading out to make a purchase, this is up 20% on last year and is expected to continue to rise. Social media accounts for a lot of this research; peers reviews and recommendations online have a big impact on a final purchase. So we can see why a great digital and social media presence is so important for most types of business. In most cases the customers first exposure to you will be online; through your Website, Facebook or LinkedIn page or perhaps your Twitter, YouTube, Instagram or Pinterest and what they see and experience there will make all the difference. Although there are exceptions, not all types of social media are directly suitable for all types of businesses and if you are a smaller company or just starting out you run the risk of being overwhelmed by trying to keep up with all your different media. It is worth noting that if you do plan to plug in to as many social media outlets as possible there are many great software programs that help automate your social media updates, just be aware that you may run the risk of regurgitating the same information all over your outlets which will be tiresome to any potential customers who may have joined you in more than one site. Service based businesses and B2B commodities are better off focusing on Facebook business page, Twitter, Linked in and Google+. B2C products and more luxury services such as beauty therapies, fashion services, clothing, cosmetics and accessories are more suited to creative, image based social media marketing through Facebook retail pages, Pinterest and Instagram. So go ahead, dive in and get started, you’ll learn as you go. Social media is a great tool for the modern day business person and can really help with building a brand that consumers can connect to. 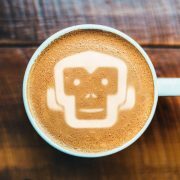 https://www.myrobotmonkey.com.au/wp-content/uploads/2018/01/Coffee-Cup.jpg 886 1400 My Robot Monkey https://www.myrobotmonkey.com.au/wp-content/uploads/2018/02/logo-v3-2.png My Robot Monkey2016-09-27 00:00:002018-01-30 07:12:13Why is social media important for your business? With a quarter of global web searches carried out on mobile devices, having a mobile friendly website is no longer a choice – not doing so is business suicide. Studies show that within 3 years the number of people accessing the Internet via their mobiles will overtake those accessing it via PC. The reality is, if your website isn’t optimised for mobile you’re losing sales and brand respect. Completely incompatible: sites that are entirely Flash-based cannot be accessed from a mobile device. Pinch-&-zoom: these sites work on touch-based devices but users have to “pinch-&-zoom”. When the site comes up nothing can be seen without zooming in. This takes a lot more effort and customers easily lose track of where they are on the site. Mobile friendly: the page layouts are device appropriate, fonts can be read without zooming in and it’s easy to navigate around the site. Is the content easy to read without zooming in? Is it easy to navigate around the site? Are you able to identify and activate the call to action? Would you want to spend time on the website (if it wasn’t yours)? Do you think it provides a good user experience? If you mainly answered “no”, then contact us today to find out how we can help you get your site mobile-friendly. We posted a blog earlier on “Online stores are changing the way we shop”. To follow on from that, we now explore how trends are changing within the online space. In our previous blog we explained how online shopping and online pre buy research are increasing significantly, leaving some traditional bricks and mortar retailers in the dust. 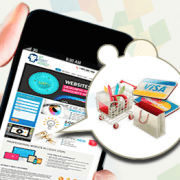 Now we discover the biggest trends to be aware of for optimising your eCommerce business in 2015. Overwhelmingly customers are shopping on the go from mobile phones and are using social media to inform and facilitate these purchases. 1/3 of online purchases are now made from a mobile device. Social media has become a big player in the eCommerce sphere with an overwhelming growth in conversions from social media of 202% in 2014 alone! 24/7 shopping: In traditional retail the store is closed for around 16 hours in every 24. But an online retailer is always open! Customers are responding to this, they shop at work, before they go to sleep at night and on those lazy Sunday afternoons. So what does this mean for your eCommerce business? It means that mobile friendly websites are no longer an option but a necessity, it also means that “mobile friendly” may not cut it, it is now time for “mobile optimised”. If you haven’t already then 2015 is absolutely the year to embrace social media! Social media (SM) has become a serious player and SM marketing is equally, if not more important in some industries than more traditional forms of marketing. Social media platforms are becoming so much more than a place for people to gather and chat online, they are the places where decisions are made and social recommendations count for a lot. Online stores are changing the way we shop; increasingly people are opting to research and buy the things they want and need online instead of in traditional storefronts. This is resulting in an array of changes, numerous new retailers are opting for online only, and some businesses are creating a mixture where online store and retail outlets work together incorporating practices such as returns and size changing. You can guarantee the number of retailers without an online presence is dropping drastically and some storefronts are disappearing altogether as peoples buying habits change. More than 80% of people on the Internet have made an online purchase, 50% purchase online regularly. Ecommerce sales have grown by more than 19% a year since 2011, and will be nearing $1.4 trillion by the end of 2015. 81% of consumers go online to research before heading out to make a purchase; this is up 20% on last year. 70% of people search online to find services and information i.e. builders, cleaners, informative websites. 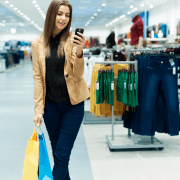 The overwhelming trend is one of movement away from traditional shopping and towards online, on the go, socially informed shopping from a range of different devices. For further information to assist in improving or creating your online platform, contact My Robot Monkey. eCommerce in the 21st century! A quality digital presence is essential. In the 21st century, if you don’t have a quality digital presence, you’re not in the game! The world has moved on, your website, logo and design work has to be of a high standard and is your number one priority from a marketing stand point. A great digital presence is extremely important as in most cases the customers first point of call is your website and what they see and experience there will make all the difference. The great thing about eCommerce is you can analyse everything; customer behaviour, viewed pages, drop off rates and more, in order to understand what is and isn’t working for you. You can then adjust live on the run 24/7 to improve your out come. https://www.myrobotmonkey.com.au/wp-content/uploads/2018/01/Screen-Shot-2015-01-20-at-3.39.47-pm.png 262 346 My Robot Monkey https://www.myrobotmonkey.com.au/wp-content/uploads/2018/02/logo-v3-2.png My Robot Monkey2015-01-20 00:00:002018-01-30 07:12:19eCommerce in the 21st century! A quality digital presence is essential. How does your customer think about your brand? Key questions to ask about your content marketing. © 2019 by My Robot Monkey. All rights reserved.